In addition to our announcement that the program would be expanding abroad, we also organized the first personal meeting of Generation 3.0’s Slovak and foreign consulting board as well as supporters. The work meeting culminated with a social event entitled Evening of Silence: Silenzio, which included the historically first fundraising activity for better education in Slovakia. 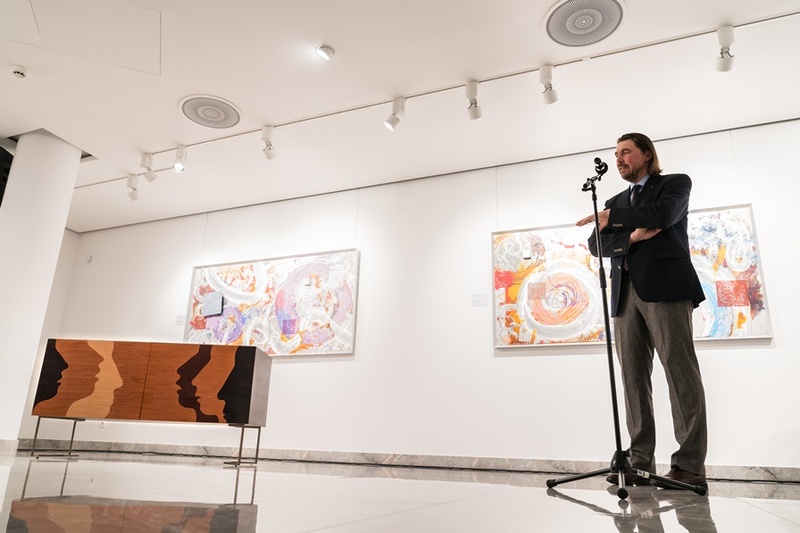 The event revolved around an auction of the Silenzio cabinet – a unique piece of furniture donated by the internationally acclaimed Slovak artist Robert Hromec. The Generation 3.0 program has successfully concluded its pilot year. Since education is our hope for a better future in Slovakia, we are constantly trying to make the program better and more effective. What enables us to move forward is the help we receive from experts and people from the business sector who care about improving the education that our children and young people in Slovakia receive. 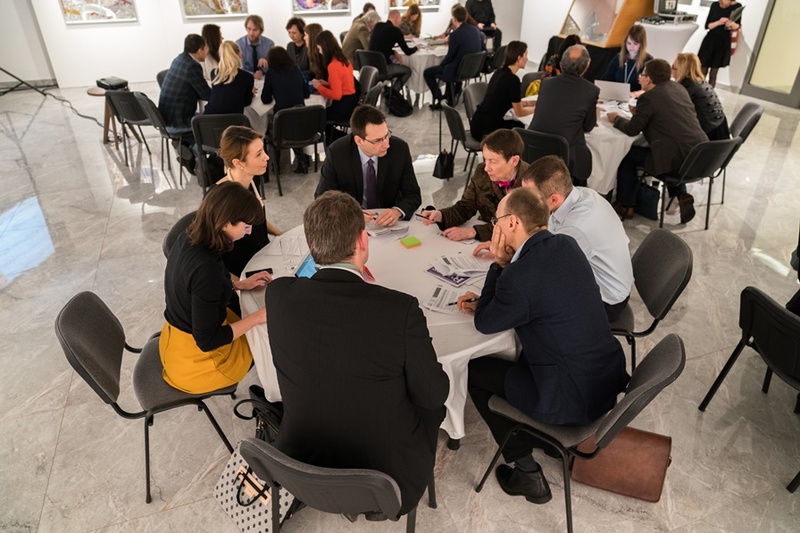 Our partners met on 23 January in the Nedbalka Gallery in Bratislava. A total of 25 people met to discuss five different topics. The work meeting used the world café method – participants were purposely divided into small groups which moved from table to spend some time discussing each of the topics. In addition to discussing issues of motivation, these groups also tackled the lack of time that teachers and headmasters experience if they need to prepare their lessons in accordance with the required syllabus, leaving them no spare time to look for innovative educational methods. One of the solutions the participants identified could be carefully worked-out teaching aids which would make the teachers’ work easier. Headmasters, on the other hand, would also benefit from training in managerial skills. They are often overwhelmed by red tape and external requirements, leaving them with little time to adopt a managerial approach to their school. One of the headmasters’ main duties should be creating space for innovative education at schools. According to experts, it is important to help teachers with networking. This way, they can provide each other with support and inspiration and promote changes, whether it is just locally at schools or in the education system as a whole. Networking can take place both online and offline – using a variety of online tools, at webinars and also at inspirational meeting spots in Slovak regions, such as the EDUpoints that the Pontis Foundation has been operating since last November. However, all efforts are in vain if there is no response from the government, so one of the next main topics of discussion revolved around cooperation between educational initiatives and government authorities. Later, as the practical part of the meeting ended, it was time for the Evening of Silence: Silenzio. The social event included an auction of the Silenzio cabinet made by the internationally acclaimed artist Robert Hromec. The auction was made possible by his donation of the cabinet prototype, originally designed for the Italian design company Laurameroni. With Lucie Schweizer, the chairwoman of our board of directors, acting as auctioneer, the final bid climbed to an incredible 25,200 euros! These funds will be used to expand and develop Generation 3.0. WE WOULD LIKE TO THANK FOR THE SUPPORT AND HELP OF THE ARTWORK’S AUTHOR, THE PERFORMERS AS WELL AS THE GUESTS WHO ACCEPTED OUR INVITATION.